This article discussed the impact of colour on behaviour in the built environment. It was based on a Design Speaks talk that I gave in Melbourne in August 2018. 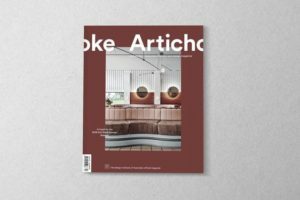 The article was published in Artichoke Magazine. The national magazine of the Design Institute of Australia is published by Architecture Media. The article discussed some of the evidence-based ways in which colour impacts behaviour in the build environment. Colour not only humanizes the built environment but it can also be used to achieve key aims beyond aesthetics. Specifically, colour can influence mood and behaviour, and encourage engagement. Colour can also be applied to differentiate between different spaces and zones plus activate interior and exterior spaces. In addition, colour/contrast strategies can enhance orientation and wayfinding strategies, and assist with the safe operation of daily activities. In this context, colour includes materials, finishes and painted surfaces. Key topics in the article included enticing, welcoming and playful colours and colour combinations. Joyful, exciting and inspiring colours also featured in the article. Research by Kaplan and Kaplan was cited as a key prompt for the use of green foliage-type hues and vertical gardens. Their research indicates that views of nature or time spent with nature lifts moods, supports well-being and enhances the ability to mentally focus. On the downside, colours that can be perceived as uninviting, sterile and repellent colours were also discussed. The impact of colour in the built environment can be used strategically to support orientation and wayfinding strategies. Specifically, variations in colour/contrast, materials and finishes can create ‘landmarks’ and pathways. These strategies can be applied in both interior and exterior spaces. ‘The impact of colour on behaviour’, Artichoke Magazine, Issue 65, December 2018, pp104-105.